Dr. Oester, MD, FACS, offers tear duct surgeries that can restore outflow and resolve tearing issues. Schedule a consultation. Tearing is when the eye experiences watering that is not caused from crying. 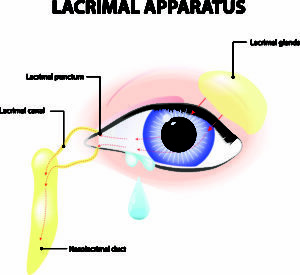 The source of tearing can broadly be defined as either over production of tear or poor outflow of tears into the tear duct system. Proper diagnosis of the source is key to guiding management. Frequently, conservative management to reduce tear production can be effective at improving tearing, however, in cases of poor outflow, Dr. Oester, MD, FACS, offers tear duct surgeries that can restore outflow and resolve tearing.